January 0 or 0 January is an alternative name for December 31. In astronomy and celestial navigation, an ephemeris gives the trajectory of naturally occurring astronomical objects as well as artificial satellites in the sky, i.e., the position over time. The etymology is from Latin ephemeris, meaning 'diary' and from Greek, Modern εφημερίς (ephemeris), meaning 'diary, journal'. Historically, positions were given as printed tables of values, given at regular intervals of date and time. The calculation of these tables was one of the first applications of mechanical computers. Modern ephemerides are often computed electronically, from mathematical models of the motion of astronomical objects and the Earth. However, printed ephemerides are still produced, as they are useful when computational devices are not available. February 30 or 30 February is a date that does not occur on the Gregorian calendar, where the month of February contains only 28 days, or 29 days in a leap year. February 30 is usually used as a sarcastic date for referring to something that will never happen or will never be done. 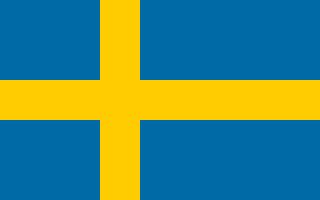 However, this date did happen once on the Swedish calendar in 1712. 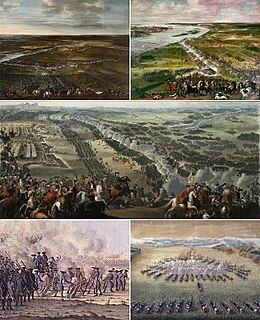 The Swedish Empire was a European great power that exercised territorial control over much of the Baltic region during the 17th and early 18th centuries. The beginning of the Empire is usually taken as the reign of Gustavus Adolphus, who ascended the throne in 1611, and its end as the loss of territories in 1721 following the Great Northern War. Because evening out the months is a part of the rationale for reforming the calendar, some reform calendars, such as the World Calendar and the Hanke-Henry Permanent Calendar, contain a 30 or 31-day February, while the Symmetry454 calendar contains a 35-day February. Although many sources erroneously state that 30-day months were used in the Soviet Union for part or all of the period from 1929 to 1940, the Soviet calendar with 5- and 6-day weeks was used only for assigning workdays and days of rest in factories. The traditional calendar remained for everyday use: surviving physical calendars from that period show only the irregular months of the Gregorian calendar, including a 28- or 29-day February, so there was never a February 30 in the Soviet Union. The thirteenth-century scholar Johannes de Sacrobosco claimed that in the Julian calendar February had 30 days in leap years from 45 BC until 8 BC, when Augustus allegedly shortened February by one day to give that day to the month of August named after him so that it had the same length as the month of July named after his adoptive father, Julius Caesar. However, all historical evidence refutes Sacrobosco, including dual dates with the Alexandrian calendar. March 0 or 0 March is an alternative name for the last day of February as a way of allowing for the fact that its number of days varies in leap years. It is used most often in astronomy, software engineering,  and Doomsday Algorithm calculations. May 35 or 35 May is used in mainland China to avoid censorship when referring to the Tiananmen Square protests of 1989, where the official names are strictly censored by the Communist government, and the event is normally referred to as June 4. It is also used in the title of The 35th of May, or Conrad's Ride to the South Seas , a German children's novel published in 1931. June 31 is a fictional date in the Soviet film 31 June . The Soviet calendar refers to the Gregorian calendar implemented in 1918, national holidays, and five- and six-day work weeks used between 1929 and 1940. The Gregorian calendar, under the name "Western European calendar", was implemented in Soviet Russia in February 1918 by dropping the Julian dates of 1–13 February 1918. As many as nine national holidays were implemented in the following decade, but four were eliminated or merged on 24 September 1929, leaving only five national holidays, 22 January, 1–2 May, and 7–8 November, to celebrate until 1951, when 22 January reverted to a normal day. During 1929 to 1940, five- and six-day work weeks were used to schedule work, but the Gregorian calendar and its seven-day week were used for all other purposes. Computus is a calculation that determines the calendar date of Easter. Because the date is based on a calendar-dependent equinox rather than the astronomical one, there are differences between calculations done according to the Julian calendar and the modern Gregorian calendar. The name has been used for this procedure since the early Middle Ages, as it was considered the most important computation of the age. 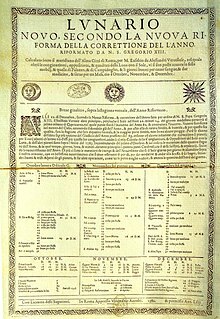 The Swedish calendar or Swedish style was a calendar in use in Sweden and its possessions from 1 March 1700 until 30 February 1712. It was one day ahead of the Julian calendar and ten days behind the Gregorian calendar. Easter was calculated nominally astronomically from 1740 to 1844. Dominical letters or Sunday letters are a method used to determine the day of the week for particular dates. When using this method, each year is assigned a letter depending on which day of the week the year starts on. Calendar reform or calendrical reform, is any significant revision of a calendar system. The term sometimes is used instead for a proposal to switch to a different calendar design. The determination of the day of the week for any date may be performed with a variety of algorithms. In addition, perpetual calendars require no calculation by the user, and are essentially lookup tables. A typical application is to calculate the day of the week on which someone was born or a specific event occurred. In astronomy, a Julian year is a unit of measurement of time defined as exactly 365.25 days of 86400 SI seconds each. The length of the Julian year is the average length of the year in the Julian calendar that was used in Western societies until some centuries ago, and from which the unit is named. Nevertheless, because astronomical Julian years are measuring duration rather than designating dates, this Julian year does not correspond to years in the Julian calendar or any other calendar. Nor does it correspond to the many other ways of defining a year. 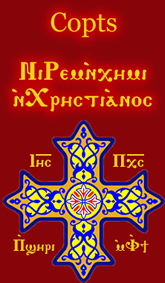 The Ethiopian calendar or Eritrean calendar is the principal calendar used in Ethiopia and also serves as the liturgical year for Christians in Eritrea and Ethiopia belonging to the Eritrean Orthodox Tewahedo Church, Ethiopian Orthodox Tewahedo Church, Eastern Catholic Churches, the Coptic Orthodox Church of Alexandria, and Ethiopian-Eritrean Evangelicalism. It is a solar calendar which in turn derives from the Egyptian calendar, but like the Julian calendar, it adds a leap day every four years without exception, and begins the year on August 29 or August 30 in the Julian calendar. A gap of 7–8 years between the Ethiopian and Gregorian calendars results from an alternative calculation in determining the date of the Annunciation. ↑ "Leap Seconds". Time Service Department, United States Naval Observatory. Archived from the original on 2012-03-12. Retrieved 2006-12-31. ↑ Ransom, Jr., David H. (November 19, 1989). "Program ASTROCLK: Astronomical Clock and Celestial Tracking Program with Celestial Navigation". p. 110. ↑ Lowe, Scott (May 11, 2007). "How do I... Perform basic formatting in Excel 2003?". TechRepublic . ↑ "Thirty Days Hath February 2000?". About.com. Archived from the original on 21 August 2016. Retrieved 7 November 2013. 1 2 3 Bauer, R. W. (1868). Calender for Aarene fra 601 til 2200. Copenhagen, Denmark: Dansk Historisk Fællesråd (1993 reprint). p. 100. ISBN 87-7423-083-2. ↑ Troy Taylor (2005). Weird Illinois. Sterling Publishing Co., Inc. p. 212. ↑ J. D. Everett (1863). "Description of a method of Reducing Observations of Temperature". The American Journal of Science and Arts. S. Converse: 23. Wikimedia Commons has media related to List of non-standard dates .